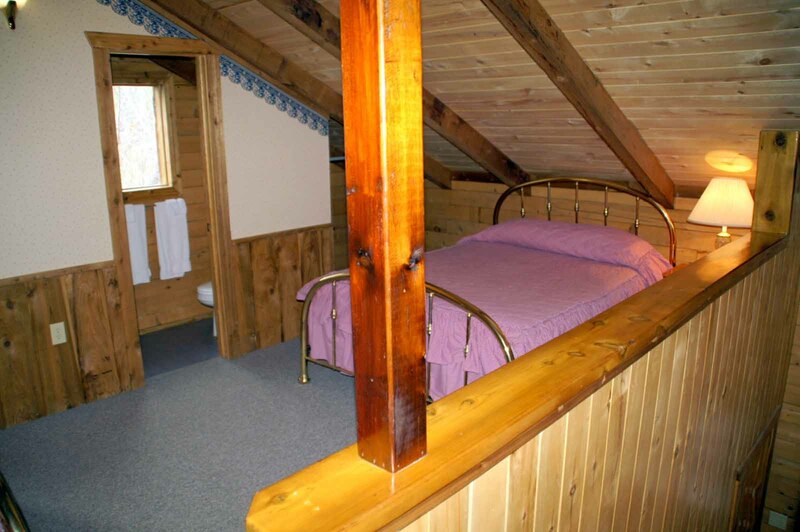 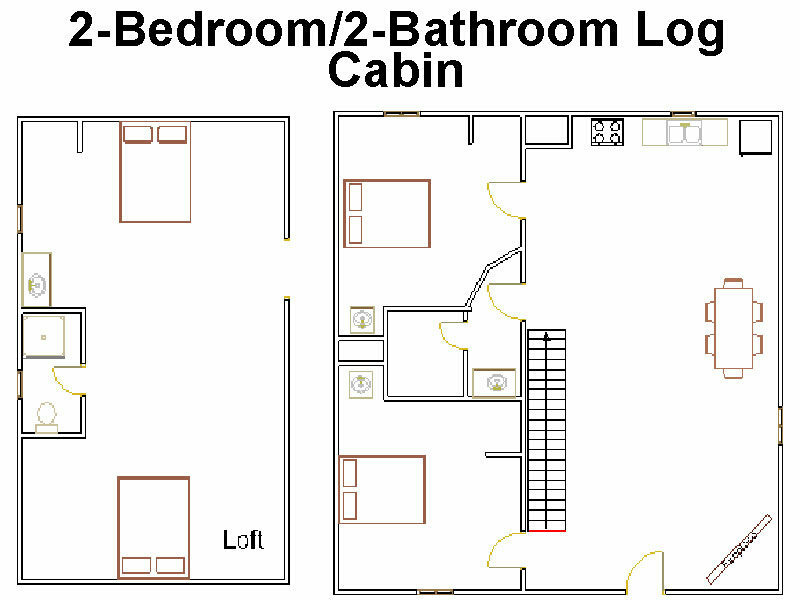 Large log cabin featuring spacious living & dining room with gas fireplace, two downstairs bedrooms with queen beds, a loft with two queen beds and two full bathrooms. 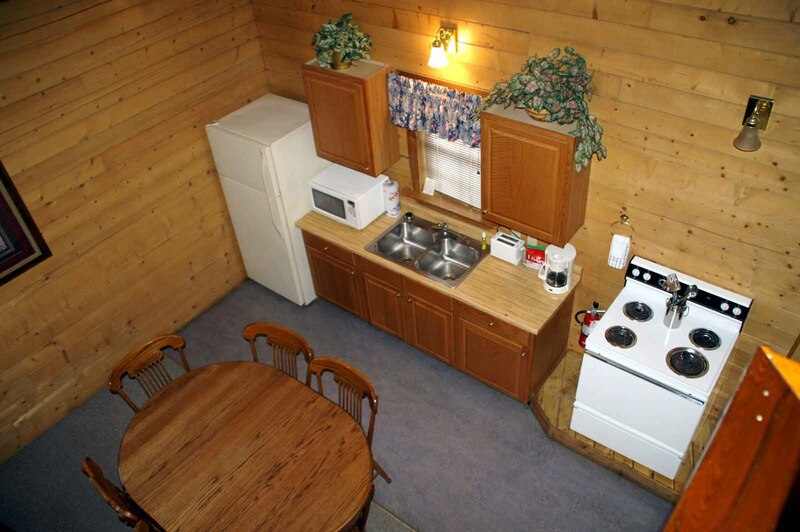 The kitchen has a full-size refrigerator, stove, sink, microwave oven, coffee maker, toaster and dishes, silverware and glasses for eight guests; cookware is not included. 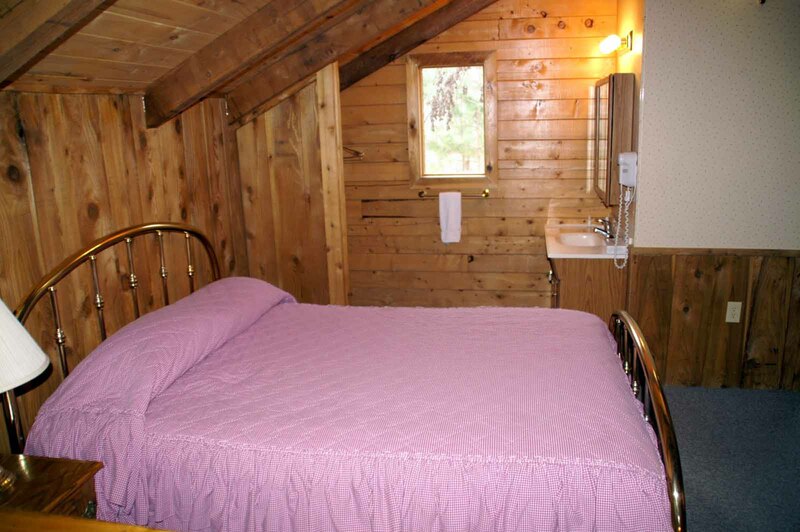 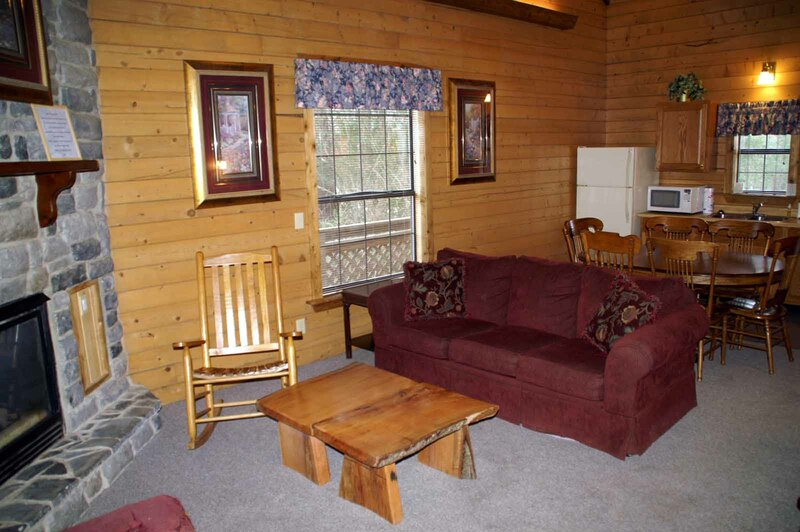 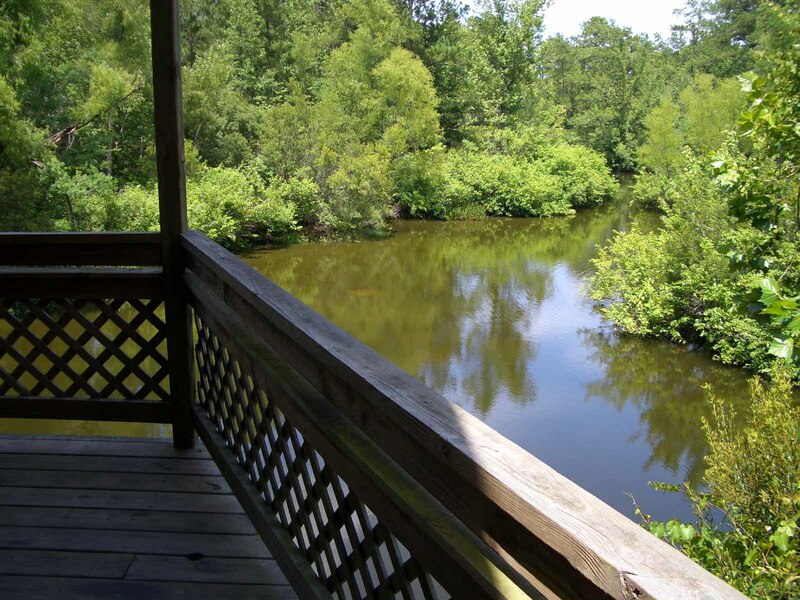 In keeping with our nature-focused environment, the cabins don’t have phones or televisions.